Actors have been known to cross over to music many times before – think Jared Leto, Natalie Imbruglia – even Kylie Minogue which have all done well. However there have been some weird ones too – Steven Seagal, Bruce Willis & David Hassellhoff come to mind – even House’s Hugh Laurie has just released a Blues album! WFT! 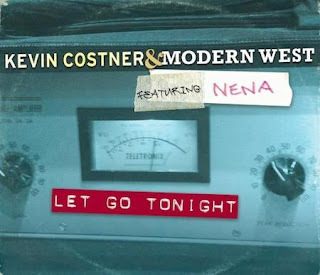 This time though we were a little shocked to find out that Kevin Costner is now one of them with his band Modern West. Even more shocking? It’s kind of good!! Featuring 99 Luftballoons singer Nena, Let Go Tonight has been doing quite well in Europe – have a listen and decide for yourself!